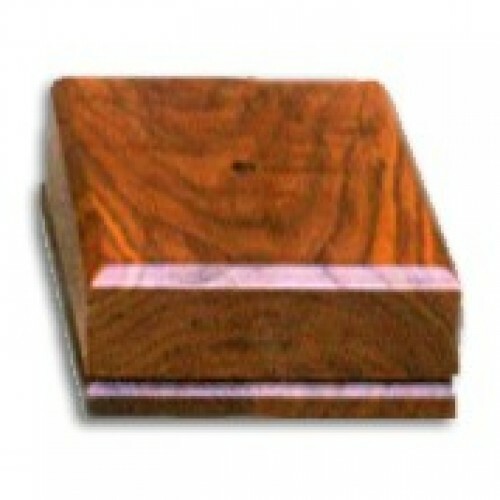 A traditional platform for any trophy or award, our square base has room for a small plate or engraving. Click here to view all our available options. Are you in search of a simple square base to mount a trophy, plate, antique, action figure, or other collectible? 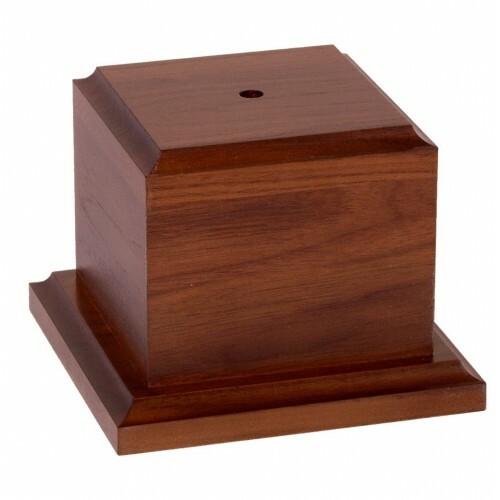 The Wood Square Trophy Base from Big Sky Woodcrafters features a flat surface created out of solid wood to provide you with a stable base for mounting. Additionally, the square trophy base offers more than enough room to add an engraved plate to commemorate the object placed on it. 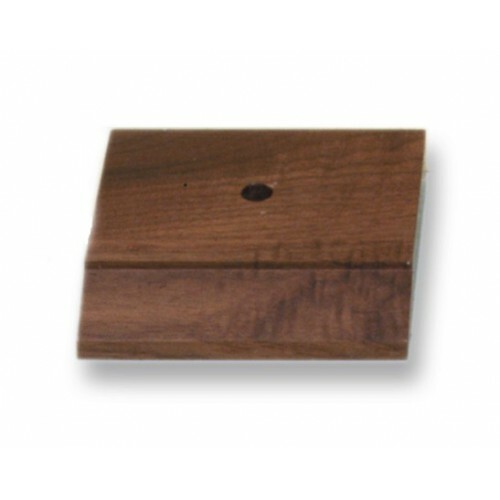 The base comes in a variety of different sizes and shapes which makes it ideal for mounting just about anything! 3" x 3" x 2.5", 4" x 4" x 2.5", 5" x 5" x 2.5", 6" x 6" x 2.5"